One of the most anticipated upcoming models of 2019 will be arriving in a few months at Lanoue Chevrolet, and we can’t wait. We’re talking about the 2019 Chevrolet Blazer, Chevy’s newest and latest compact SUV. Introduced last June in Atlanta, the new Blazer is about to hit the Canadian market, and you’ll want to check it out. The new Blazer will compete in the five-seat mid-size SUV segment with some established models and will rely on its aggressive design and cutting-edge technology to stand out. 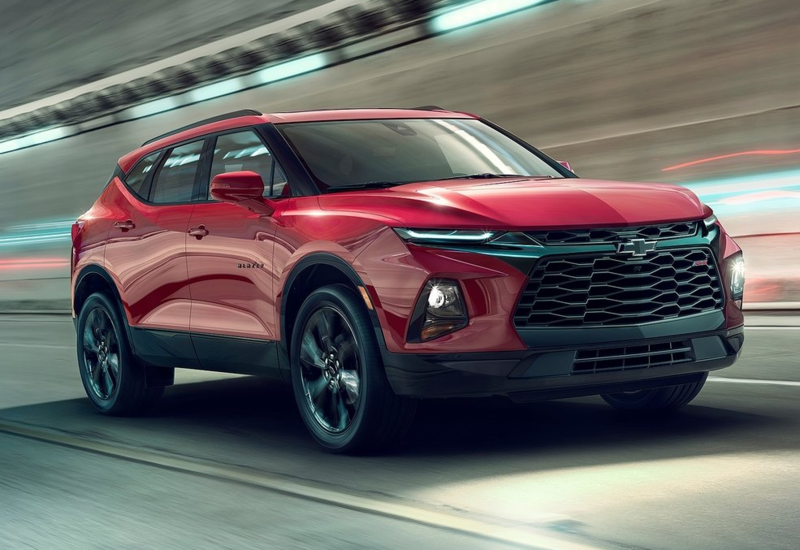 The 2019 Chevrolet Blazer will have a choice of two engines as well as numerous versions consumers can choose from. It’s looks will turn heads, but what’s under the hood and that muscular body is even better. 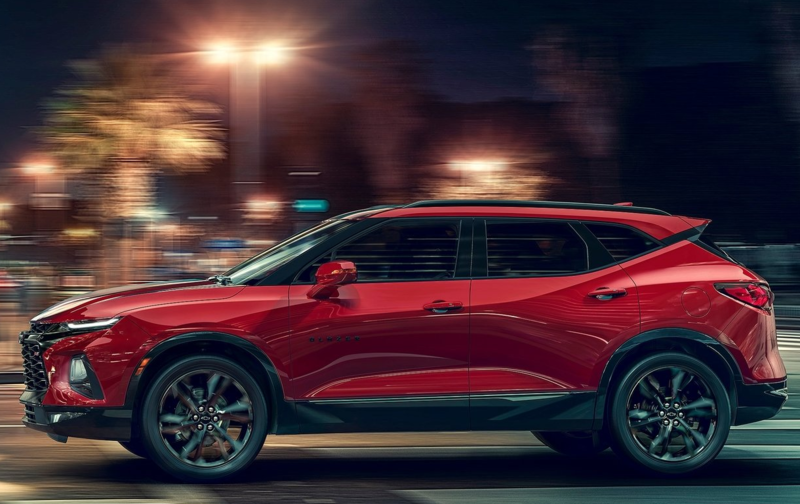 The 2019 Chevrolet Blazer will be offered with a choice of two engines, the first being a 2.5-liter, four-cylinder engine that delivers 193 horsepower. The second will be a 3.6-liter V6 engine that will develop 305 horsepower. The first engine will be for buyers who want fuel economy first and foremost along with an affordable monthly payment. The second is for buyers who do not want to compromise. Features found in the Blazer, either standard or optional, include a heated steering wheel, automatic climate controls, heated rear seats, a power tailgate, an advanced infotainment system with all of the connectivity tech you need, and more. The Blazer’s engines will be both fuel-efficient and powerful as noted previously, but they will also be quite capable. The V6 will be able to tow up to 4,500 pounds and there’s a hitch view camera system which will provide the needed assistance to make sure you tow safely and easily. The 2019 Chevrolet Blazer will hit the market before the end of winter. Come in today and learn more!